Yesterday I had a conversation with a demonized man. He was a homeless man in downtown San Francisco, and his name was Chucky. I liked Chucky. Chucky had a large beard with bits of food stuck inside it like flies trapped in a cobweb. He had weathered skin, a raspy voice, and large safety pins hanging through various piercings on his face. You had to look around the pins just to see his piercing blue eyes. He was standing outside of a great taco place that my friends and I were about to go into, asking for spare change so he could get “a bite to eat”. By “bite to eat,” he meant alcohol. So I bought him a beer. We bought him a quesadilla and a coca cola, and decided to hold onto the “spare change.” Nonetheless, he appreciated the quesadilla and coke, and more importantly, it gave me a chance to talk with him. I asked him where he was from. He told me he was from San Jose, then went to prison in Utah or Oklahoma or something, then came back to San Fran 10 years ago when he got out. He told me he was schizophrenic, and he told me about his favorite parts of San Francisco (The Mission District, in case you were wondering). He was a bit socially awkward, which is to be expected when people have treated you as less than human for the last ten years, so conversation was a bit choppy, but the more we talked, the more he began to smile–ever so slightly anyway. I mentioned God in passing, and he rather suddenly and forcefully announced that he was a Norse Pagan. I just smiled and said “That’s ok, Jesus still likes you.” He seemed to like that. I told him how I sometimes tell my atheist friends “You don’t believe in God? That’s alright, he still believes in you!” He thought that was funny. So do I. It’s a really obnoxious thing to say. I’m obnoxious sometimes. Oh well. We got our food, and my date and I made our way back to join the rest of our group. Before we walked away I asked him if I could pray for him for anything and he said he was fine, then I asked if I could give him a hug, and he said yes. So I hugged this much happier man than who I had met outside moments before, then went to my seat. When we left, he was back outside begging for more spare change for “a bit to eat.” But when we walked out, he waved and said thank you, and my buddy Christian said “next time, I’m gonna buy that guy some food. We see him here every time we come, but he said hi just now. He actually remembered us.” We had made a new friend; Chucky. The Building blocks of the Kingdom are Faith, Hope, Love, Righteousness, Peace, Joy. The things that remain forever. The things that can start with one act, as small as a mustard seed, but grow into a mighty oak of Life and Redemption (Mat 13:31). We are surrounded by night, and when we plant the smallest seeds of the kingdom, a sunrise will blossom. At first it won’t look like much, but hope rises. Hope grows stronger as it spreads. 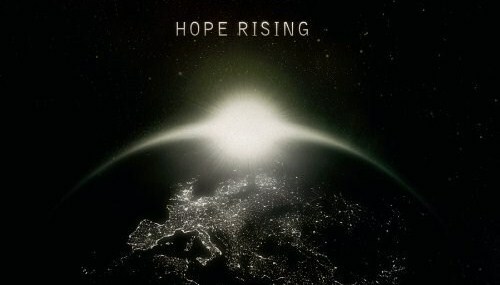 Hope is one of the strongest forces in the universe. Chucky needed to know that he wasn’t beyond hope. He needed a hope infusion. Anyone can hand him change or a burrito, but Chucky needed to know that his story is significant, that he is worth something. Any of us can do it, if we see people like Chucky as worthy of hope, but we often look past them. Hope, delivered in love, can change the world. You might be saying to yourself “but he just went back outside to beg for beer money!” Yea, he did, but he knows us now. In this tiny miracle we moved from objects that might provide food or beer, to friends and he moved from “homeless beggar” to Chucky. Chucky may never get off the streets, but who am I to try to control that. All I can control is if I choose to spark a sunrise in a person’s soul. And THAT, my friends, is meaning. Thank you for sharing that Karsten! You are a good writer and Disciple of Christ! Thanks so much Cyndee! And thank you for reading my blog! Karsten, that was awesome, and you hit the nail on the head. Many have had hope deferred and for some, longer periods of time than others, but to have hope infused back into one’s soul, that is Love personified. That is you through Jesus.